Denver, CO – Your commercial kitchen relies on its ventilation system to control the air quality and prevent the breakout of fire. 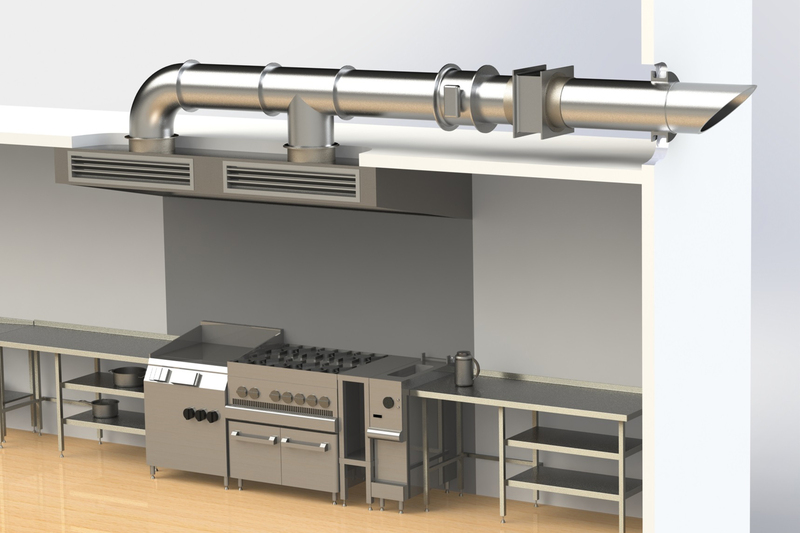 The components that make up your ventilation system include vent hoods, fire systems like sprinklers, pollution control units, grease extraction devices, exhaust systems, and make-up air systems. All of these systems work in conjunction to ensure that your staff and customers have clean air to breathe, and so that fire doesn’t your equipment, your building, or your employees in danger. Therefore, it becomes necessary to clean and properly maintain your ventilation system so that it is always working efficiently. But what happens when a system needs to be replaced? Here are the signs your commercial kitchen ventilation system may need to be upgraded to a newer, and better working model. Depending on how often it’s used and well it’s maintained, the average ventilation system should last between 15 and 20 years. However, if the kitchen is always busy and maintenance has faltered, the lifespan of your system could be considerably shorter. Are there signs you can watch for? There certainly are. Buildup of Grease: If you wait too long between vent hood cleanings, all the grease that gets accumulated can create buildup, which is nearly impossible for even professional vent hood cleaners to remove. If that happens, the effectiveness of the unit and the safety of others could be compromised. Excessive Airflow: An outdated system may have to work harder to push the same amount of air through, increasing your costs. The whole system may need to be replaced to get your energy expenditures back to acceptable levels. Production Changes: Did you recently update your menu and is your kitchen staff having to increase their volume? If so, you may need to assess that your current system can handle the extra workload. You may need to upgrade or modify your system so that it can handle any changes. Breaking Down: The most obvious sign that your ventilation system needs to be replaced is that it becomes unreliable or requires frequent servicing. If at any time you find yourself losing sales due to downtime, you should replace your system as soon as possible. The key to keeping your ventilation system alive and well for the entire 20 years is to ensure you engage in proper cleaning and maintenance on a regular basis. The volume your produce will dictate your cleaning schedule, and you should have your vent system assessed by a fire protection professional to make sure everything is in working order. Because you never want to be caught unaware when your ventilation system happens to one day go down. Hopefully, that never happens. To prevent your commercial kitchen ventilation system from causing you downtime or increasing costs, get your system checked and possibly replaced by the fire protection professionals at Nationwide Fire Protection. Contact Nationwide Fire Protection for a free quote, or call (800)750-7313.